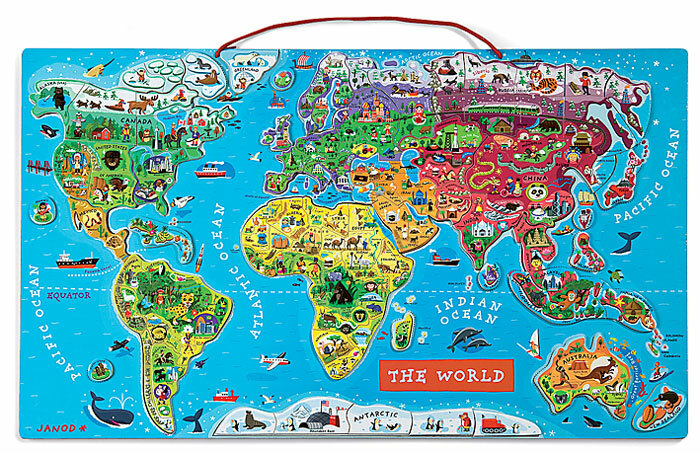 Big, pretty and informative magnetic jigsaw puzzle of the world with 92 thick and easy-to-handle magnets presenting most countries with their capital and often other major cities, plus illustrations of features associated with them, e.g. famous sights, mountain ranges, animals, typical products, etc. 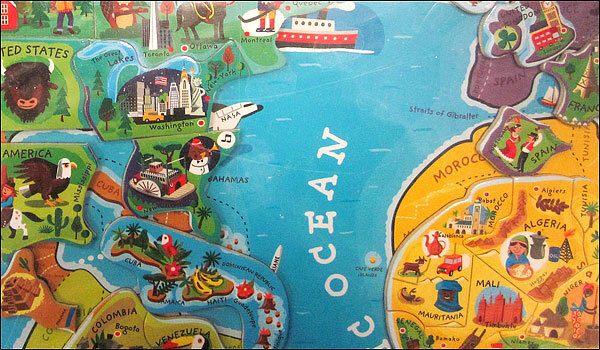 All place names are in their English version. The sturdy magnetic base measures 77 x 47cm (30.5” x 18.5” approx. ), weighs 2.76 kg, and comes ready for hanging on a wall. 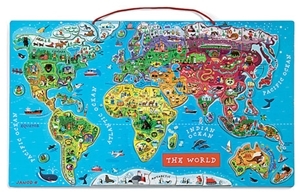 Recommended by the publishers for children aged 7 or older, the puzzle provides a fun and educational way of discovering more about the world.